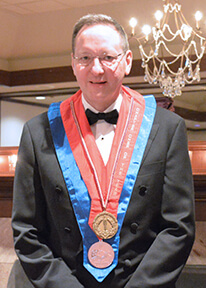 Be in the know about the Duquesne Club’s latest news and happenings. On Wednesday, March 21, the Duquesne Club’s Admissions Committee welcomes new and prospective members to a complimentary reception, featuring an open bar, hors d’oeuvres, tours, the opportunity to meet members and staff, and of course – macaroon favors! Congratulations to Duquesne Club Executive Chef Keith Coughenour who was awarded the American Culinary Federation Pittsburgh Chapter (ACFPC) 2016 Chef of the Year at their Awards Gala and Chef William Foust Educational Scholarship Auction on February 19 at the Sewickley Heights Golf Club. Chef Coughenour’s family and past and present work colleagues joined him for the celebration.